Every day, hundreds of phones are in the city of Buenos Aires iPhone is usually the favorite bonus because of the resale value. But at the same time, they are most complicated to re-enter the market, especially for their reasons. In 2013, Cupertino's giant introduced a security feature designed to make their devices less attractive to thieves. For this, It can only be linked to an iCloud account, which means that in order to reuse it, it is necessary to completely eliminate that account from the phone. It is likely that the security feature has reduced the number of iPhones that have been stolen, but criminals found ways to sell devices. The motherboard published an extensive article there describe the new methods used by thieves of mobile phones to avoid protection of Apple devices. In addition, not only hackers and thieves use these methods but also independent repair companies. According to the publication, the thieves Cheat the original owners of the phone or scam employees in Apple's storeswhich has the ability to override iCloud locks. There are three ways to remove an iCloud account from an iPhone. The first consists of get the owner's original iCloud password through phishing. The second is that an Apple Store administrator can override iCloud, so scammers can trick administrators into unlocking a device that doesn't belong to them. The third method consists of remove the CPU from the iPhone and reprogramming to create a "new" unit, which requires a lot of labor and is rare. This is usually done in Chinese restoration laboratories and involves theft of a phone number or IMEI, in some words it is necessary to be "clean". Each of these resources is used Unlock specific units and resell them, although some methods are much simpler and more useful than others. However, not all phones with iCloud are stolen devices, some of them are phones that are returned to the telecommunications company as part of the phone's update and insurance program. 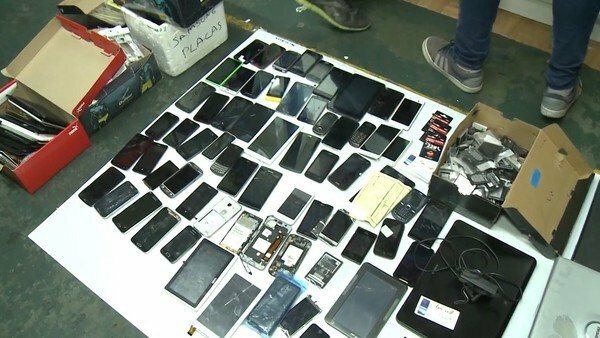 Many of these legally obtained iPhones that have blocked iCloud serve to deliver the independent phone repair industry with spare parts that cannot be obtained directly from Apple. But apparently, as the repair companies know a phone is worth more unlocked than blocked, some of them have become customers of illegal companies dedicated to unlocking iCloud. In practice, this "unlocking the iCloud" activity involves a complex chain of cybercriminal fraudsters. Its business includes the use of counterfeit receipts and invoices to trick Apple into believing it is the legitimate owner of the phone, and use databases seeking information on iPhones and social technology in Apple Stores. There are even custom phishing packages for online sales designed to steal the iCloud password to the original owner of a phone.